The best look at the new Spider-Man: Far From Home new suits. There have been set pics posted but the images have been a bit blurry. Some fans thought the film will introduce the Spider-Man noir suit. Instead, the suit Tom Holland will be wearing is more of a SWAT uniform. Only the red and black suit has officially been shown off by Holland, but now Sony is preparing to let everyone at CCXP get an up-close look at both suits. Omelete shared exclusive photos from the floor of the con and of Sony’s booth, which included the best looks yet at the stealth and red and black suits. Spider-Man: Far From Home suits revealed! 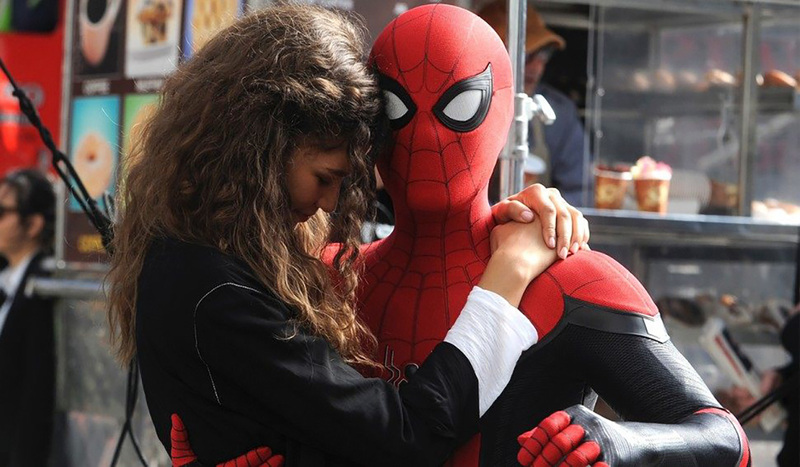 Spider-Man: Far From Home stars Tom Holland, Zendaya, Michael Keaton, Samuel L. Jackson, Cobie Smulders, Jake Gyllenhaal, and Jacob Batalon.